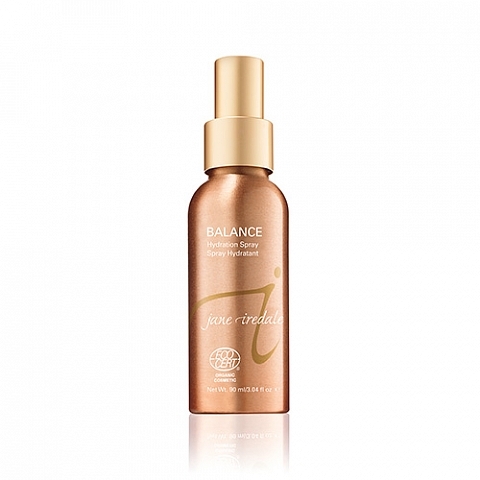 Balance Antioxidant Hydration Spray helps to balance your skin’s oil with Orange Essential Oil, Orange Peel Extract, Grapefruit Peel Extract and Algae Extract. Balance Antioxidant Hydration Spray uses Algae Extract, Grapefruit Peel Extract, Orange Essential Oil, and Orange Peel Extract to calm and feed the skin. A hydrating mist formulated to help balance skin’s oils and PH level. A suitable mist for all oily or acne prone skin types. Sets your mineral makeup for a long lasting, smooth finish. Works great to wet brushes to turn powders into eyeliner. A natural and organic cosmetic item certified by Ecocert Greenlife. Can be applied on top of any mineral foundation to help set the minerals for longer wear. Can also be used on top of Purepressed or Amazing Base to build coverage between the layers without getting a “makeup look”. Can be used to freshen up any time of the day or sprayed on gauze and used as a toner after cleansing. Orange essential oil and orange peel extract help to calm the skin. Grapefruit peel extract provides bacterial protection. Algae extract calms and feeds the skin. Balance Antioxidant Hydration Spray Contains 3% green tea extract that is immensely beneficial for acne-prone skin by providing bacterial protection.